OK this might seem like a strange and weird posting, but I just wanted to share this FABULOUS airplane bathroom that I experienced yesterday on my flight home from Shanghai to Toronto (Air Canada flight 88) It turns out that all Boeing 777 long range aircraft in the Air Canada fleet have windows in the bathroom. Now this might not seem like a big deal, but I have to tell you I think this is FABULOUS, it takes away the claustrophobic feeling and it just makes the space such a nice place to be that you almost just want to sit there and look out the window and read a book. Anyway, if only all airplane bathrooms were like this. Well it's a good thing the window is positioned behind you while in the sitting position or people would spend all the flight in the loo with a book or magazine. I am so glad to have found your site and that is the thing for me. 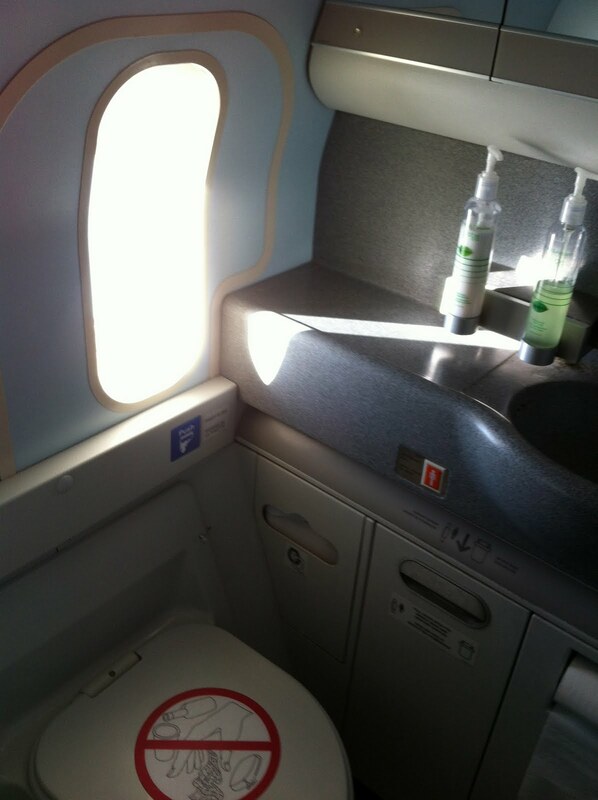 Thanks for sharing this airplane bathroom with us! But I think that it is not a good idea to sit there, look out the window and read a book. I like flying especially with the best american airlines. Thanks. It's great to hear from you again. After watching such stuff I am really impressed.plak beha Keep up the good work from now on-wards & I will be returning to you for my queries. Its cool there is a site out there dedicated to fairness and equity for our youth. plak bhHope more people create sites like this. I do not think that this is such an important topic that is worth discussing, because this is the usual everyday thing we face every day.